The Galaxy Note 4 offers a stunningly clear, 5,7 inch HD screen bringing movies and entertainment to life and delivers the ultimate viewing experience. It is equipped 2.7GHz Qualcomm Snapdragon 805 processor and runs on Android Kitkat 4.4. The note 4 giving you fast easy access to video photos and content. The mobile phone has also adaptive charging. To get FREE Samsung Galaxy Note 4, subscribe to SMART's plan such as Aspire 3500 plan, Prestige Plan 5000 and Premium Plan 8000. 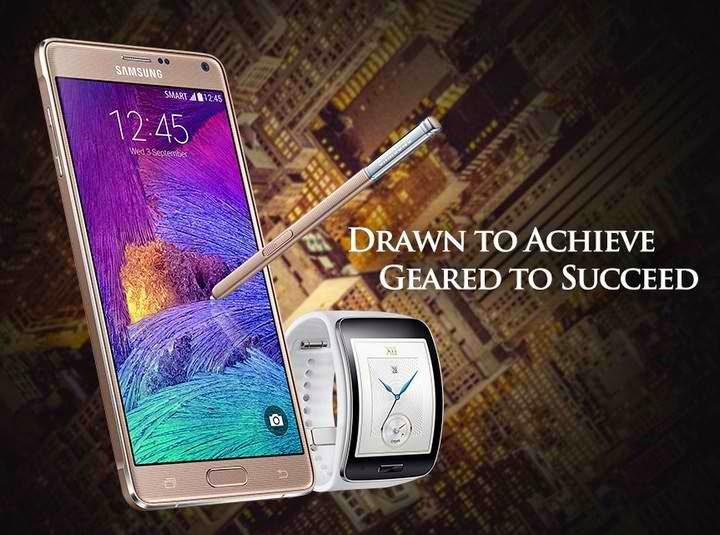 It's also available in Samsung stores and authorized delers in full price nationwide.